Ownership / Access: Historic house Open to public. 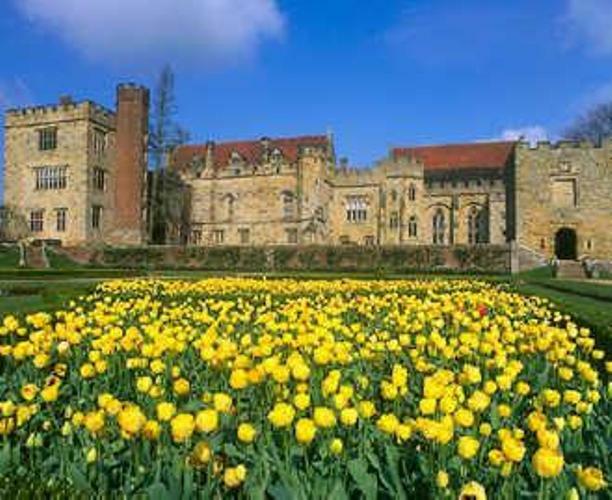 Notes: Penshurst Place is a historic building near Tonbridge, Kent, 32 miles (51 km) south east of London, England. It is the ancestral home of the Sidney family, and was the birthplace of the great Elizabethan poet, courtier and soldier, Sir Philip Sidney. The original medieval house is one of the most complete surviving examples of 14th-century domestic architecture in England. Part of the house and its gardens are open for public viewing.